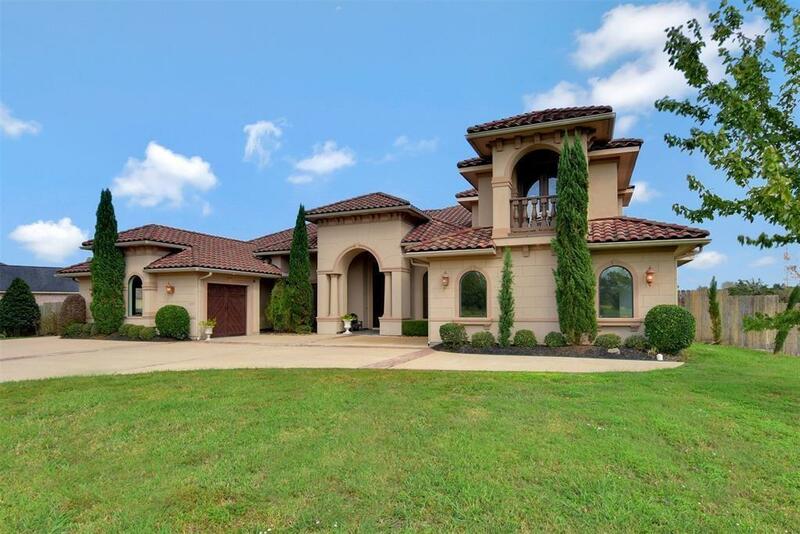 Magnificent 1.5 story Mediterranean, custom home on over 3 acres in Friendswood ISD! Located on a quiet street offering lots of privacy & sunset views, 4 large bedrooms and 4.5 bathrooms plus a private study. Enter the like new home to a grand entry boasting soaring ceilings & views of the backyard oasis. This open floor plan features a gourmet island kitchen with custom cabinetry, commercial appliances & huge walk-in pantry. 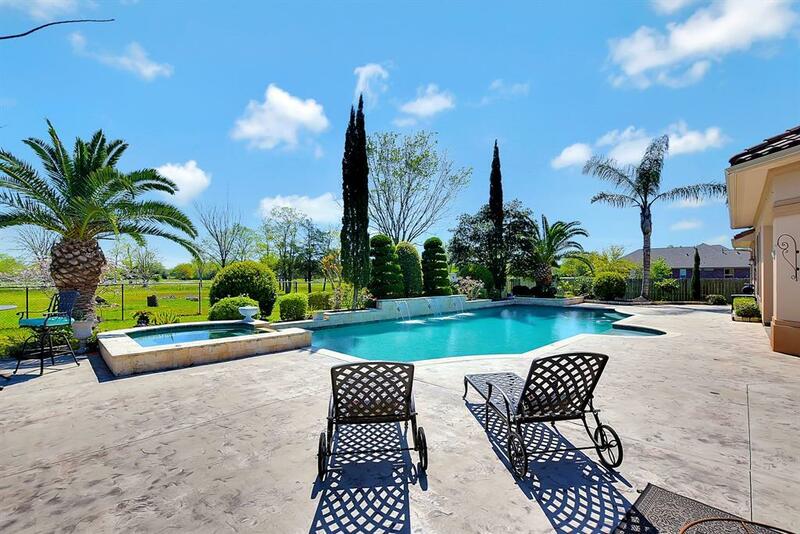 The luxurious master retreat has backyard access, his & hers closets, & an oversized walk-in shower. The split plan features 2 additional bedrooms on the main level & a spacious, upstairs bedroom that could also be used as a gameroom or a private guest quarters. Step outdoors to a park like setting with a large covered patio, heated salt-water pool, hot tub & a convenient outdoor shower! Room to build a workshop or barn & bring your horses! Need more land? See the additional acreage for sale next door. 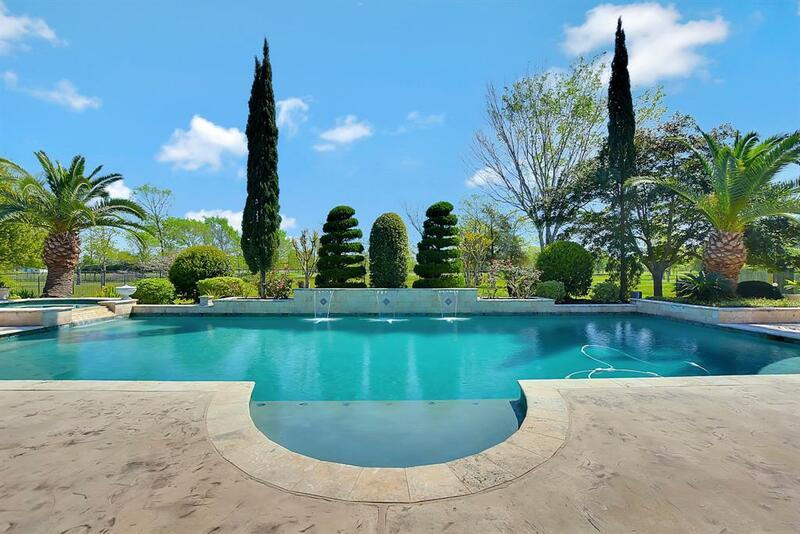 This property has no HOA, city utilities & has never flooded!